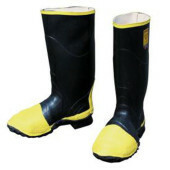 Neoprene boots are highly resistant to both organic and inorganic chemicals. Steel toe meets ANSI Z41 PT 99 Sect 1. Suction-gripping neoprene tread patterns lock on to slick floors. Cotton lining. Rough finish to provide grip. Excellent chemical resistance. 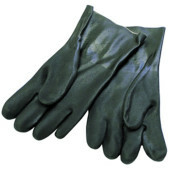 Fully coated with jersey lining. Rough finish to provide grip. 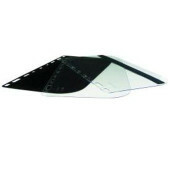 Clear polycarbonate with multiple mounting slots to allow use with most face shield brackets. 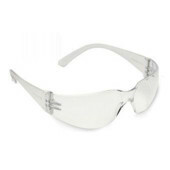 Clear polycarbonate with multiple mounting slots to allow use with most face shield brackets. 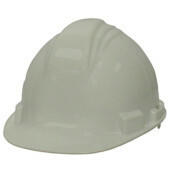 Velcro® strip along the bottom used to attach face shield bibs available on some waterblasting suits. 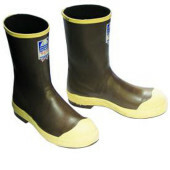 Rubber knee boots with steel toe. Meets ANSI Z41 PT 99 Sect 1. 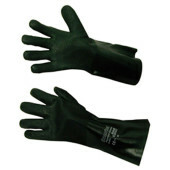 Scratch resistant, UV-blocking coating. Clear lens, frosted frame. Z87+ approved. 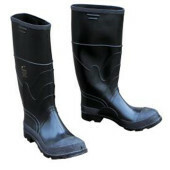 Premium knee boots with steel toe, anchored metatarsal guard, and stainless steel midsoles meet ANSI Z41 PT99 Sect 1, 2 & 5 standards. Washable cushioned insoles. Waterproof. 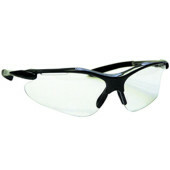 Adjustable nose pad, rubber coated temple tips, scratch resistant, UV-blocking coating, and anti-fog lens vent. Clear lens, gray frame. Z87+ approved. 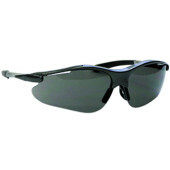 Adjustable nose pad, rubber coated temple tips, scratch resistant, UV-blocking coating, and anti-fog lens vent. Gray lens and frame. Z87+ approved.